I am a better traveler, and a much improved cook. I have learned how to locate the best available within an area and I am better at communicating (except in Italian – that’s still a struggle). Italy is my passion. It’s time for me to share some of what I’ve discovered there. I can hardly wait to share my love of discovery, history, art, food and all things Italian. Italy is, in the most basic sense, all about food. Any conversation you overhear in italian can be guaranteed to be about food. What they just had to eat, where they will eat next, how what they last ate was cooked, how it should be cooked, how their Mamma or Nonna made it better and where they found the ingredients. Food is a nationwide passion. As Mario Batali says, “There are Italians and everyone else – who wants to be Italian”. Everyone knows the beauty of the country, the importance of Italian art, the history of the Roman empire and the popularity of Italian food. Can you even imagine a world without Pizza? Or pasta? I can’t. Most cooks know there are differences in the regional cooking throughout Italy. There are some dishes that have a version in many regions. And, there are many types of dishes unique to their own region, and some of those are not only unknown outside the region, but some are known within the town of origin. Italian food is about using the best ingredients, the freshest, available locally grown things. In other words, the best of what is available nearest your table. There really is no such thing as “Italian cuisine”. Italy is made up of many distinct cuisines, each with its own flavor palette and preferred cooking techniques. These techniques and cuisines can be roughly grouped within regional boundaries. I’ve had a wonderful time exploring local delicacies. And finding ways to use them here in the U.S. 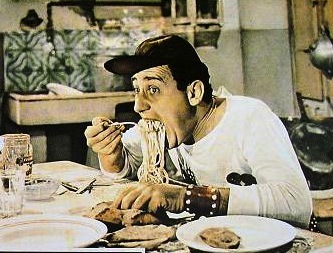 There are hundreds of great blogs about Italian regional cooking, about Italy’s food and about traveling the country. I could not do better than most of them. What I have to share is about the less traveled, lesser known products of Italy. The Italy most tourists and even some locals haven’t found. The treasures I’ve uncovered in my explorations – the uncommon, the unique, and the “Expressly Italian”.